FH Canada is proud to be a member of the Food for the Hungry family, today. 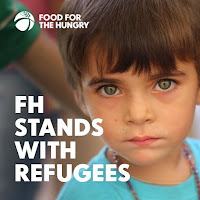 "We boldly stand with refugees around the world. We're called to stretch across the border...to receive those who are of different races, different religions, different ethnicity or social cast, because that's what God has called us to."